What is Hand-Assisted Laparoscopic Adrenalectomy? 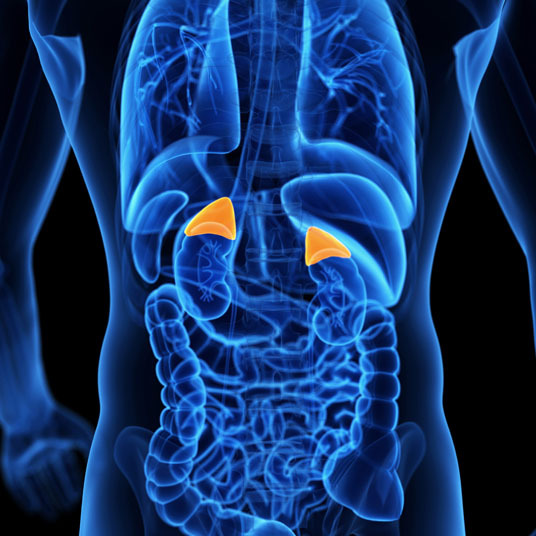 A modified minimally invasive procedure, hand-assisted laparoscopic adrenalectomy involves the removal of one or both adrenal glands. To perform the procedure, laparoscopic instruments and the surgeon’s hand are inserted through the abdominal cavity through several small incisions and one larger incision. Hand-assisted laparoscopic adrenalectomy may be utilized in cases of enlarged adrenal gland, Cushing’s syndrome, pheochromocytome, high blood pressure from a dysfunctional adrenal gland and benign or malignant adrenal gland tumors. Non-surgical alternatives to hand-assisted laparoscopic adrenalectomy include arterial ablation, chemotherapy, radiation therapy and high blood pressure medication. 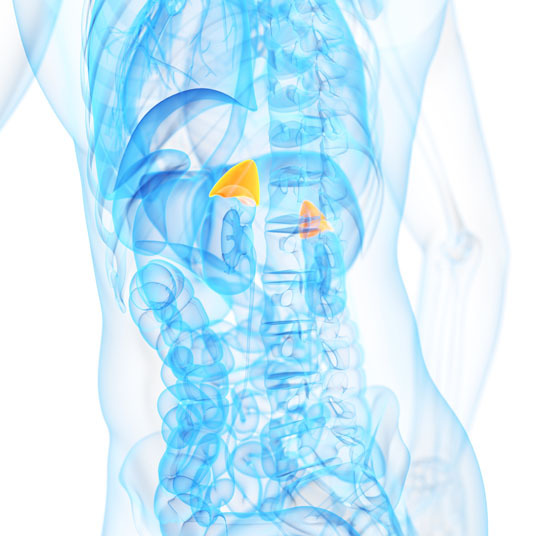 An open adrenalectomy is a surgical alternative to the procedure. Hand-assisted laparoscopic adrenalectomy is performed under general anesthesia, which means that the patient is asleep and completely unaware during the procedure. Possible risks following hand-assisted laparoscopic adrenalectomy include infection, bleeding and a negative reaction to the anesthesia. It is also possible for other organs to be injured. The prognosis for a positive end result following hand-assisted laparoscopic bilateral adrenalectomy is good. Total recovery from hand-assisted laparoscopic adrenalectomy takes three to six weeks.